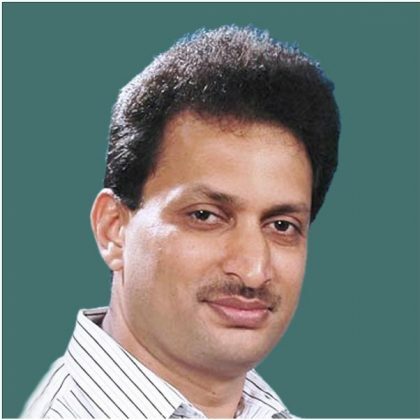 Karnataka: Controversial MP from Uttara Kannada Lok Sabha constituency, Anant Kumar Hegde, more infamous in the medical community for assaulting a doctor, has now found a place in the Modi Government Cabinet, as a Skill Development Minister ( MOS). The move has drawn the ire from doctors across the country. In the Month of January 2017, CCTV footage of the Karnataka BJP MP and his supporters beating medical practitioners for failing to attend to his mother on time at a private hospital in Karwar had gone viral. In CCTV footage the 49-year-old politician was seen grabbing a doctor by the throat and slamming him against a wall. He was then seen assaulting and punching the doctor. Another doctor was also allegedly beaten when he tried to intervene. However, drawing further umbrage from the medical fraternity, rather than legal action being taken against him, months later, the MP has now been given a cabinet position. The Indian Medical Association has now sent a letter to the Prime Minister demanding that Anant Kumar be dropped from the cabinet immediately adding that his appointment clearly sends out a very wrong message. “Instead of taking action or conducting a probe, he has been inducted into the cabinet. Making him Skill Development Minister has sent another wrong message. Is indulging in violence the ‘new skill’ to be taught to entrepreneurs?” the letter from the IMA was quoted as asking. This move by Mr.Modi is atrocious.One can not take law into his hands.This man must be dropped from the ministry at once.This sends a wrong signal to the public . This move of Mr.Modi is atrocious.This is against medical fraternity.He should be dropped from the ministry immediately. Modi should drop him immediately if he has any respect to the Doctor community. Doctor didn\’t even had the guts to complain!?! No matter what, if you don\’t have the guts to complain, the public will take you as the guilty party deserving the treatment.